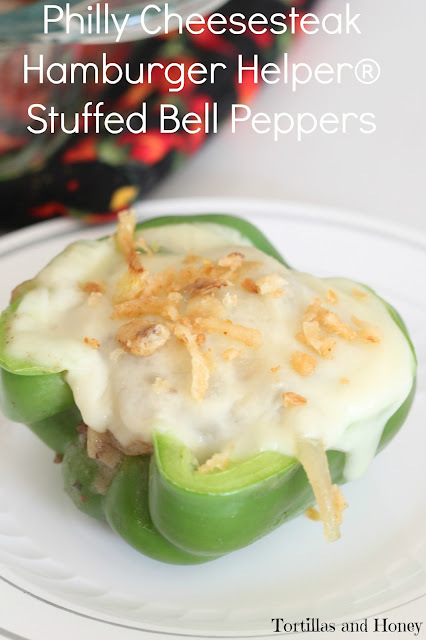 This Philly Cheesesteak Hamburger Helper® Stuffed Bell Peppers are brought to you in collaboration with Hamburger Helper® to help bring you easy hamburger recipes this summer! As always, the recipe and opinions in this post are my own. Even though Hamburger month was last month, we're still celebrating hamburgers because, for me, summer is hamburger season! You can find so many Hamburger Helper® varieties, and I was thrilled to find the Philly Cheesesteak Hamburger Helper® at Walmart! Philly Cheesesteak was one of my favorite vacation meals that I've ever had. Of course, I was in Philadelphia and made sure that I experienced an authentic cheesesteak. They were so good, my mom and I ate them for breakfast and lunch! 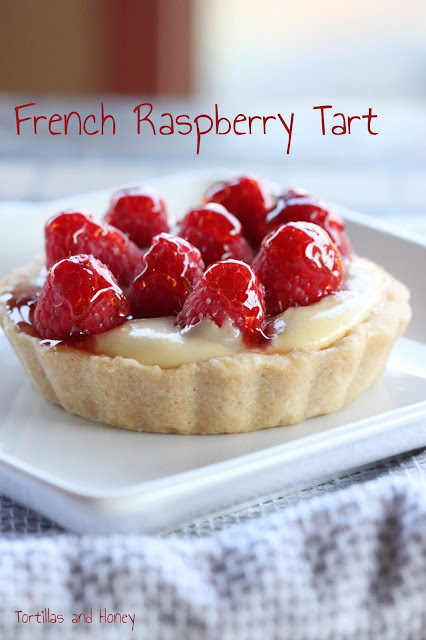 Since then I've been craving the same taste and haven't been able to recreate it, but I've found and created other recipes that help mimic the flavor, like this recipe I'm offering you today! When I saw this Hamburger Helper® flavor, I thought that I would amp up the cheesesteak flavors by adding classic cheesesteak flavors to this meal including browned onions, mushrooms, bell peppers, and provolone cheese. I also decided to use the Hamburger Helper® recipe as a stuffing for bell peppers! This is a wonderful recipe and I love the cheesesteak flavors that you get with each bite. I especially liked the added meatiness of the mushrooms and the bites of sweetness from the onions. It does take a little extra time, but I really think that a little extra work adds volumes of yumminess to this meal! Tips for this recipe, don't cook the pasta mixture too long because it may get too soft as you bake it. The bell peppers retain their crispiness when they're baked, but if you'd like them softer just boil them between 5-10 minutes before you stuff them. You can also find a coupon through this link to help you save on your next Hamburger Helper® purchase! What creative ways do you use hamburger or Hamburger Helper®? Over medium heat, heat the oil in a large skillet. Add onions and cook until browned, stirring frequently, about 10-15 minutes. If the onions brown too quickly, lower the heat. After onions are browned, scoop into a bowl and reserve for later. In the same skillet, cook the ground beef and criminis until the beef is browned and the mushrooms are soft. Drain the grease, then stir in the Worcester sauce and garlic powder into the meat mixture. Add the Hamburger Helper® pasta and seasoning packets (reserve the toppings packet), the water, and the milk. Mix all the ingredients together and bring the mixture to a boil. After the mixture comes to a bowl, lower the heat to a simmer and cook about 10 minutes until the pasta is tender and the mixture is thickened. Stir in the reserved browned onions. Add the bell pepper halves to a large baking dish, cut sides facing up. Scoop in the meat mixture into the cavities of the bell peppers, then top each stuffed pepper with a slice of provolone cheese. Bake for 10 minutes, until the cheese is melted. Remove from the oven, then top the stuffed peppers with the fried onions from the toppings packet. Makes 8 servings or 8 stuffed bell peppers. How simple and delicious! I can't wait to make this!